How can I debunk the orbs in this photo? Discussion in 'UFOs, Aliens, Monsters, and the Paranormal' started by Nnaoj74, Jun 11, 2017. What are you trying to debunk? They are just flash photography artifacts. If you'd like to explain them, you can google "orbs", click "images", find similar photos and read the explanations attached. The unexplainable part would be trying to explain why someone took a pic of a dining room table where none of the candles are centered on the table. The orbs are caused, as Deirdre says, by out-of-focus dust particles illuminated by the flash. The photography term for the phenomenon is "circle of confusion". 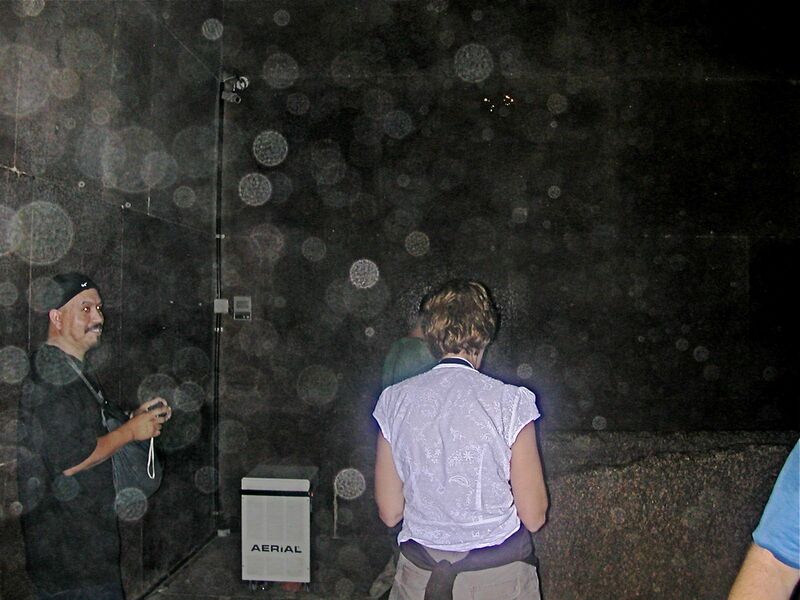 My sister, having returned from a holiday in Egypt several years ago was excited to show me photos of "orbs" she'd taken in one of the dark unlit chambers of their tour. My initial refutation was to declare them likely out of focus dust particles lit up by the flash but she countered that flash photography was prohibited which kinda stumped me. Can sis email them to you? yeah I'd like to see the pictures too. I imagined this would be asked just after I posted, she's not so good with technology. Was hoping someone would have an off-the-shelf suggestion. As it was a few years ago, all I can recall was a black photo with a sprinkling of light dust specs. Well, my "of the shelf" suggestion would be: spotlights illuminating said dust specs. If the chamber was black, there might be spotlights to light the way for the tourists. There has just to be a beam of light hitting the dust specs between the chamber and the camera, as the camera is focusing into the room the specs get off-focus, resulting in orbs. The light might not even have to be too harsh, as the camera sensor try's to adjust for the dark chamber. - thats what my photography experience tells me. she forgot her flash was on. ? 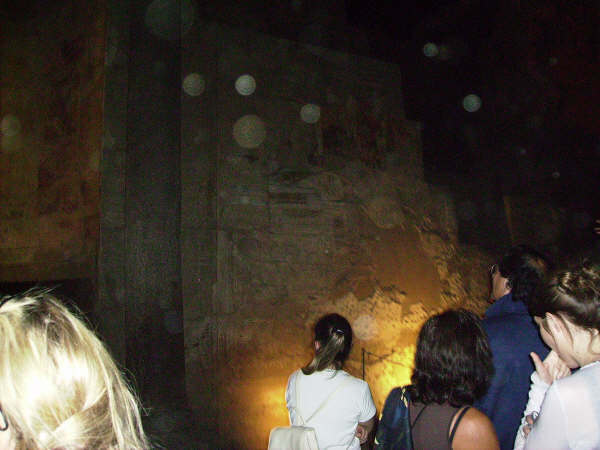 My sister, having returned from a holiday in Egypt several years ago was excited to show me photos of "orbs" she'd taken in one of the dark unlit chambers of their tour. Was hoping someone would have an off-the-shelf suggestion. A black photo, like there was nothing in it but orbs? How would you even know where it was? That's another possibility, for sure! The most likely one, methinks. Track down those photos! I wonder what she was trying to take a photo of, in a dark, unlit chamber, with the flash turned off? I'm guessing they're "somewhere" and I'll have to be the one to guess where, find them and grab a copy. Don't hold your breath! That's her modus operandi, shoot first, ask questions later. Until she can see the results (printed at the store or displayed on a large screen) it's fire and forget all the way! OMG I forgot bout my allergies. anyway decided to make my own ghosts... and it worked!